Kota is still running towards the water to try and stop the brothers, but he himself is stopped by a strange new Inves. He henshins into Jinba Lemon, but finds that the Inves is almost as strong as an Overlord. 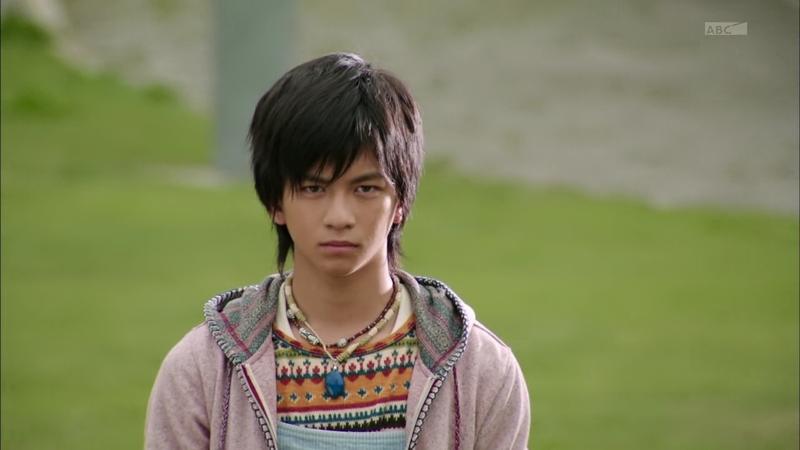 Meanwhile, Kaito is at the park, reflecting on his current state with an open Helheim wound. Sagara suddenly pops up and tells Kaito that Kota has continually surpassed him, citing all the power ups Kota has gotten. Kaito says he still wants to beat him, so Sagara snaps his fingers and a Crack opens revealing some other version of Zawame, one already in ruins. A henshined Kota is fighting off Inves and then jumps through before going Kiwami Arms. 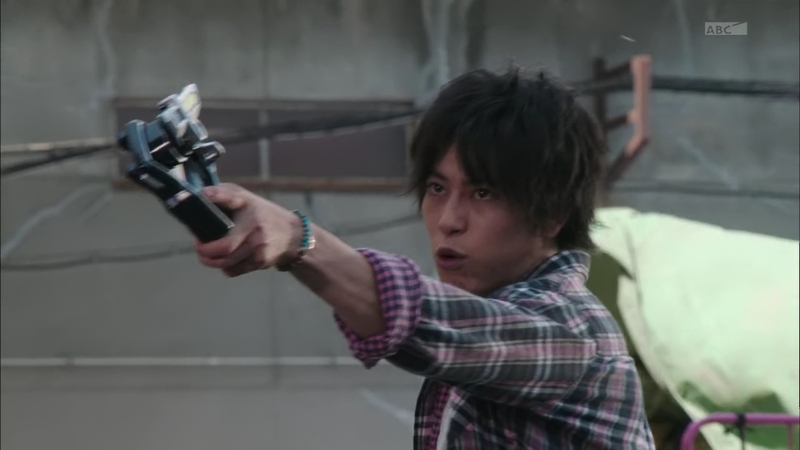 Sagara tells Kaito to test its strength, so he henshins into Lemon Energy Arms and fights this Kota. Kaito has trouble keeping up. Sagara says at this rate, with how strong Kota is, he will be the one that rules the world. Kaito gets up and charges toward Kota, but he spots a guy watching from the side. The distraction allows Kota to take out the Hinawadaidai-DJ-ju and shoot Kaito, point-blank. 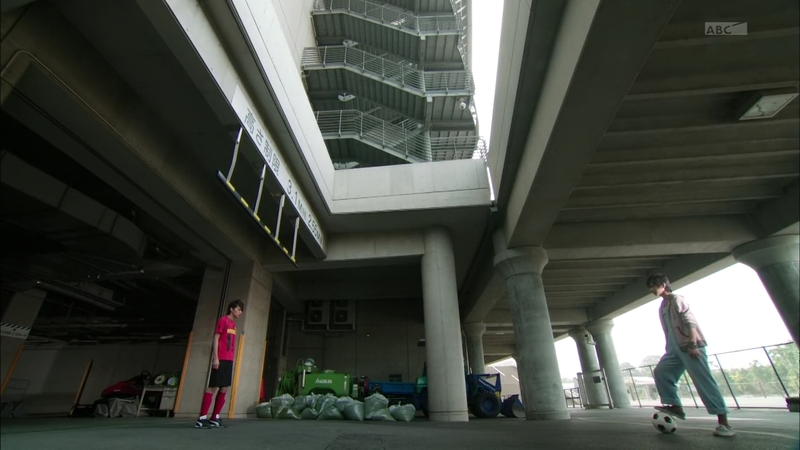 But suddenly Kaito gets hurled right into the crossbar of a soccer goal post. 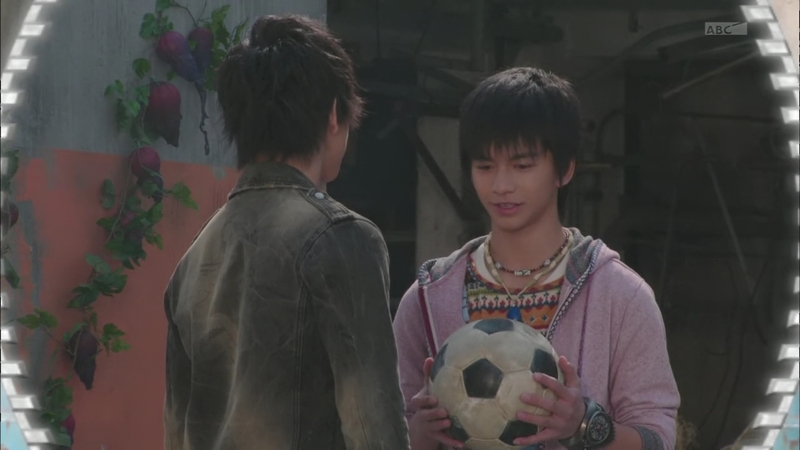 Peco and Zack, in soccer uniforms, hurry over to check on Kaito. “You did that on purpose!” Zack yells over to… Hase Ryoji. Hase stands with Jonouchi and Oren, who is henshined. Oren says that’s nothing compared to what his former French teammates would have to go through. 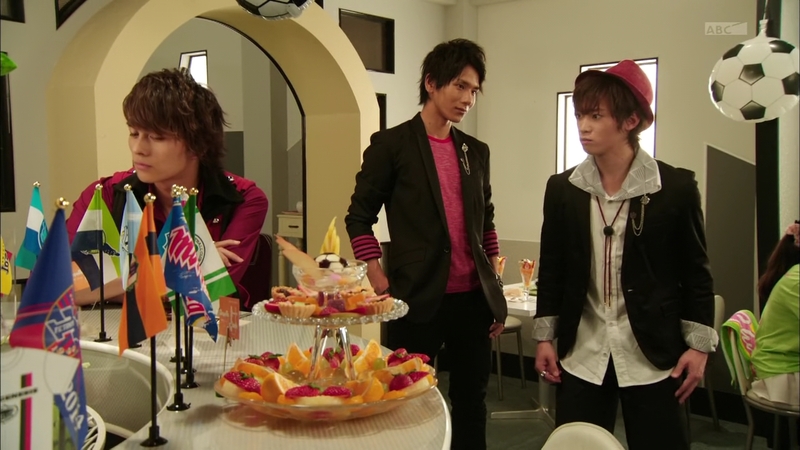 Kaito has no idea what’s going on. 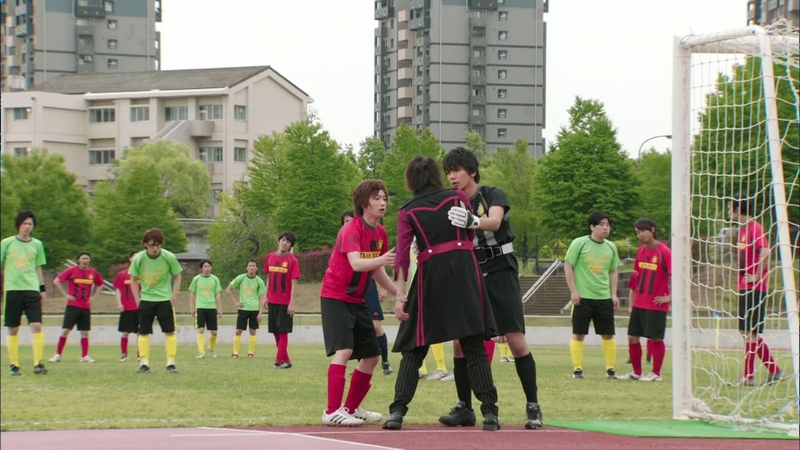 Zack and Peco tell Kaito to take a break and they back out on the field. Hase tosses the ball into play and Oren uses a Durian Squash to send the ball zooming into the goal which a just-henshined Zack still can’t control. That is apparently game for Team Charmant and Peco apologizes to Kaito for losing the match. Kaito wants an explanation, but Oren, Hase and Jonouchi walk up to them and say their play today was pathetic. They can’t possibly win the All Rider Cup like that. 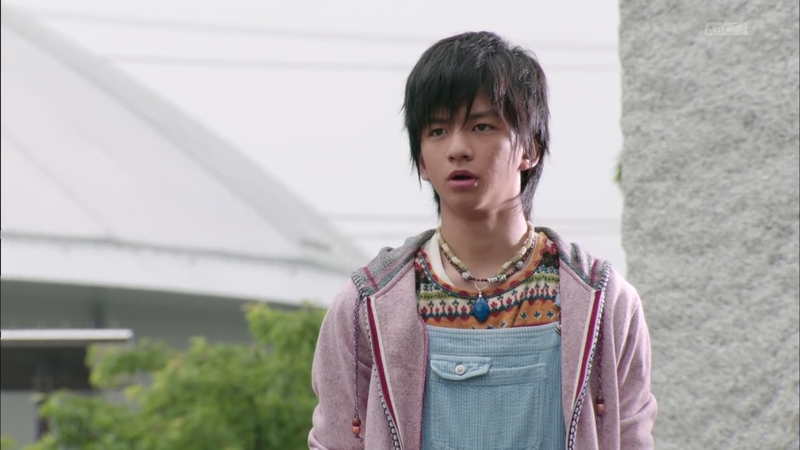 Kaito realizes there is no Helheim invasion in this world. 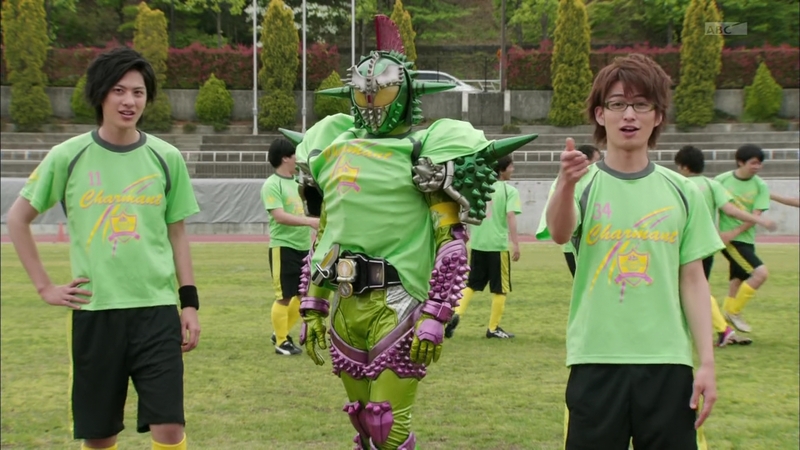 At Drupers, Kaito tells Zack and Peco he’s got amnesia and asks them to explain what is going on to help “jog his memory.” Zack says they’re playing to win the All Rider Cup and obtain the Golden Fruit, of course. Kaito says they should go practice then. 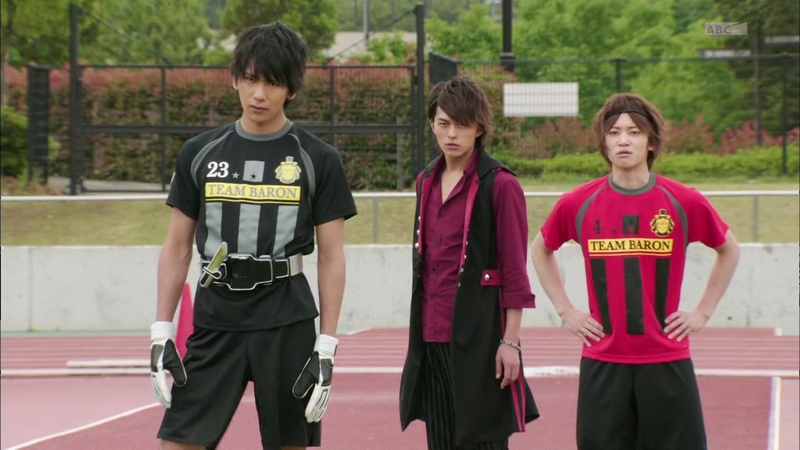 The three of them go to the pitch, but it turns out Kaito isn’t a very good soccer player. At all. Suddenly, Nakamura Kengo of the Kawasaki Frontale appears and offers to help whip him into shape. Later, Kaito runs into the guy from earlier. He welcomes Kaito to his world. The flying Inves that attacked Kota earlier appears and Kaito quickly henshins. 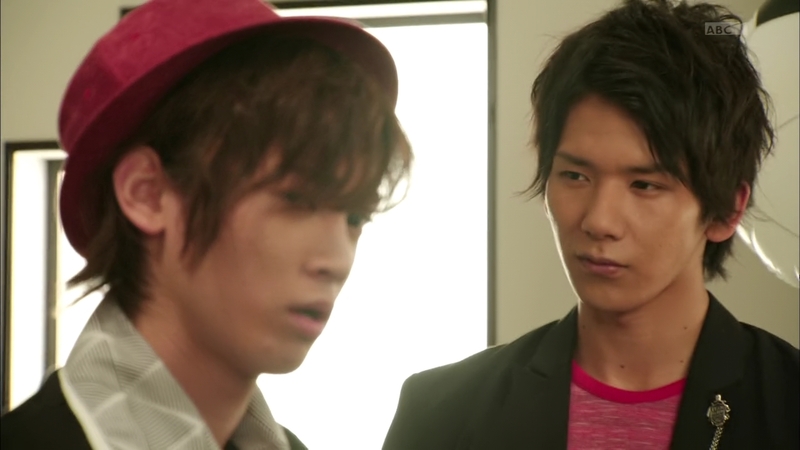 Zack and Peco arrive and are shocked to see Kaito henshining to fight and not just for soccer matches. Kaito drives the Inves away. Back in the real world, Kota is still running around. But someone seems to be watching him. Kaito’s apparent reemergence on the soccer field is gaining more attention in the city as the first match of the All Rider Cup is set. Team Baron meets Team Charmant on the field, but Oren calls in a special helper: Ota Kosuke from F.C. Tokyo. 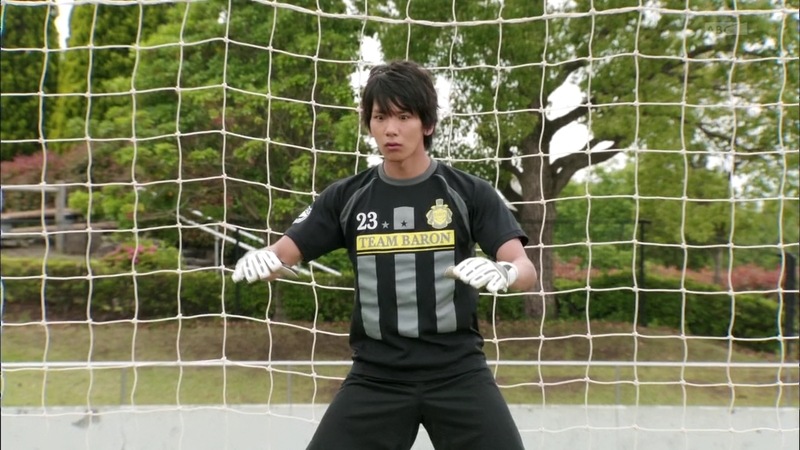 That’s okay, since Team Baron has Nakamura Kengo. Meanwhile, Kota is attacked by the bird Inves again. After some Gaku Sano acrobatics, Kota henshins to Kachidoki Arms. 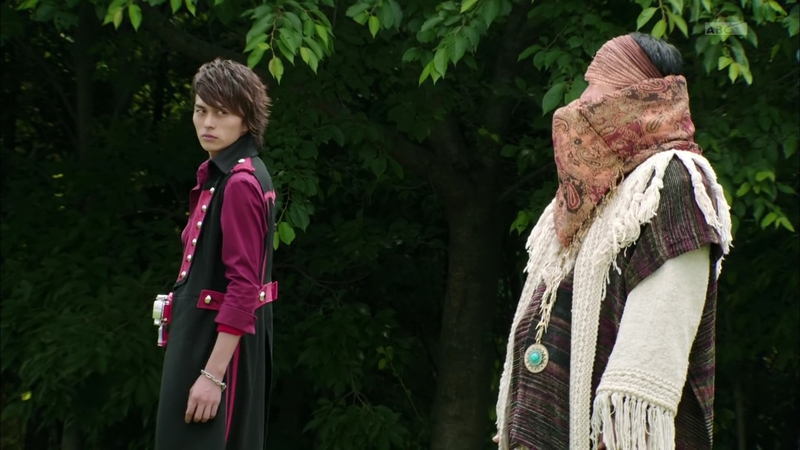 Sagara appears and tells Kota that the dimensions are warping and Helheim’s nuisance has reappeared. He points to a nearby Crack where a dark-clothed Kota appears all cool-like, tossing a soccer ball to the mysterious guy Kaito has met. 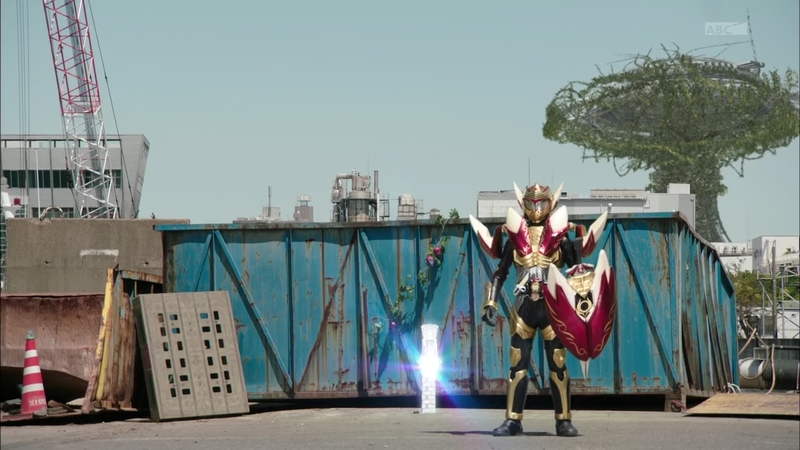 Sagara leaves and Kota returns to finishing off the Inves by using Kiwami Arms. Back in altZawame, Baron and Charmant are tied 1-1. Kaito henshins and scores the winning goal. But one of those bird Inves appears again. 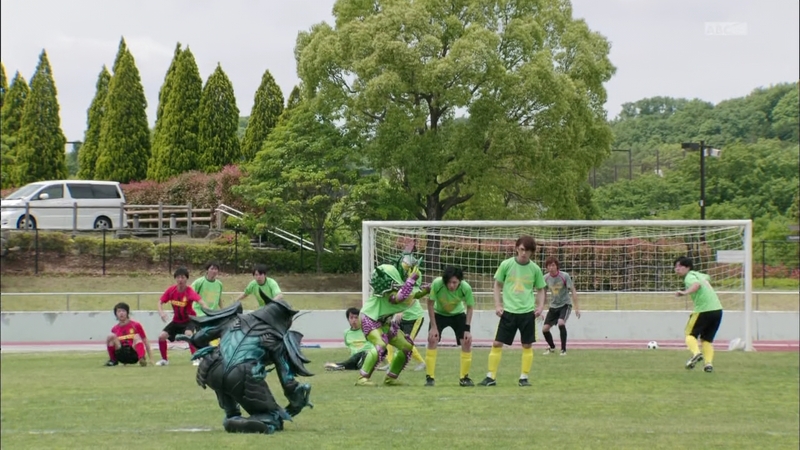 The pro soccer players kick a fire-soccerball toward the Inves and Kaito goes Lemon Energy Arms to finish it off. 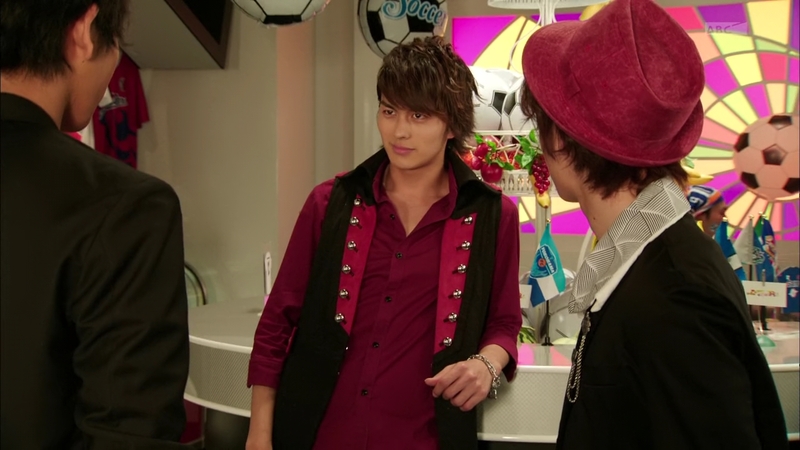 Kaito turns and the guy from earlier appears again. He admits it was him who brought Kaito here and that his goal is to create an ideal world. Kaito says it doesn’t matter what world he’s in, he will fight to prove his strength. The guy laughs, but he still needs to erase Kaito’s memory of the events of the movie before sending him back to realZawame. Back in Zawame, an apple Rider appears ready for the summer movie a battle for the Golden Fruit. Well. On its own, this was a fun little episode that is pretty much the premise of any Toei Super Sentai or Kamen Rider movie. Right? Alternate dimensions and alternate worlds with alternate versions of our favorite characters? So it was fun, especially seeing Hase pop up again. But in the grand scheme of things? It was a horrible waste of time! Like seriously. I know they want to promote the movie and this episode was basically setting up the idea and premise of it, but damn. What a buzzkill and momentum killer after the events of last week. ← Recap: The Amazing Race Canada 2, Episode 2 – "There's a Fish in My Pants!"